To support and promote compassionate care for individuals and their loved ones who need palliative and end-of-life care. To support and promote the compassionate care for individuals and their loved ones who need palliative and end-of-life care. 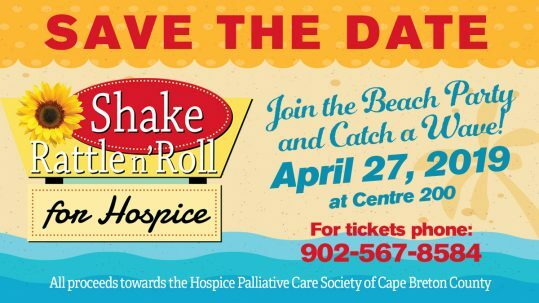 The Hospice Palliative Care Society of Cape Breton County is a vital community healthcare partner. Does your china and jewelry collect space and no longer bring you joy? Consider donating it to our Pop Up Shop, in support of Hospice Cape Breton. Your donations will become sales items for our Pop Up Shop in May. We will continue receiving donations on April 25th, 26th and 27th from 12:00pm-5:00pm at 291 Esplanade. 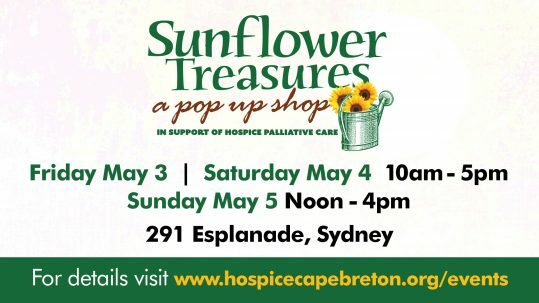 Our volunteers are hard at work accepting and organizing donations for Sunflower Treasures, a Pop Up Shop in support of Hospice Cape Breton.